Thank you for sharing! I’m going to make one for my 7 year old granddaughter who was saved recently! You’re so very welcome Nancy! And what wonderful news about your granddaughter ~ praise the Lord! 🙂 So exciting! Love-Love-Love this idea. 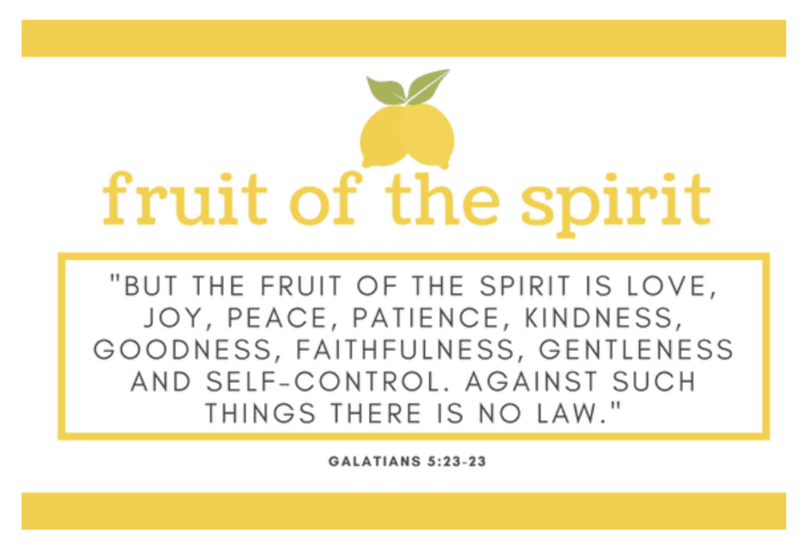 Should the printable state Galatians 5:22-23? Thank you for sharing all your awesome money-saving tips with us. Be blessed. What a wonderful God wink! 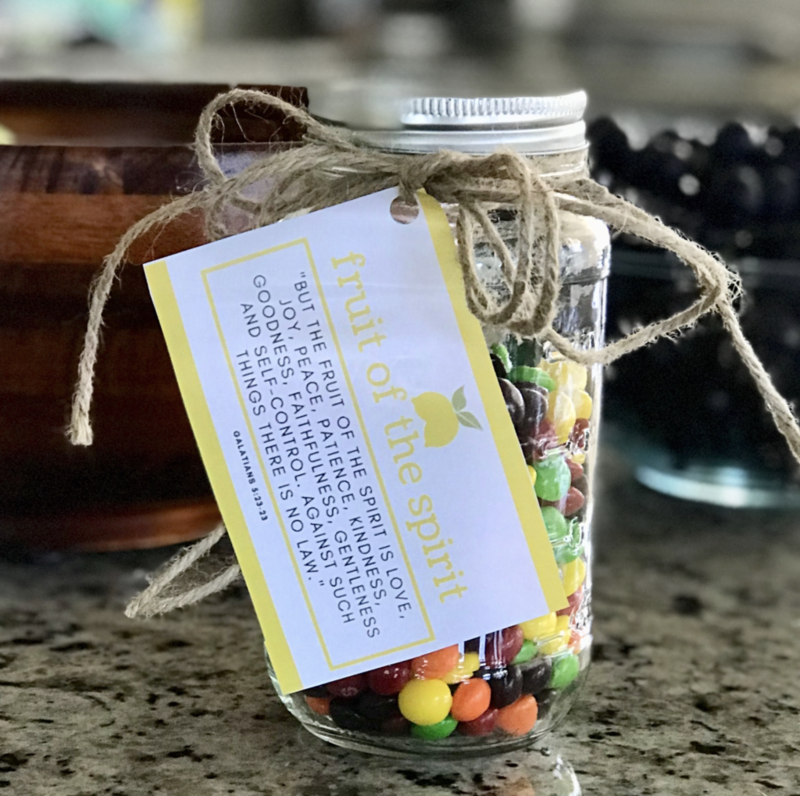 Just yesterday, I decided to have a Fruits of the Spirit challenge. My girls, 6&8, have been bickering lately. I want to encourage them to focus on their relationship, not the stuff they bicker about! I am going to incorporate this with my approach. I am also going to print fruit cards with a trait listed on them. I’ll have them either “draw from the fruit bowl”, or put one under the breakfast plate (I will choose which I think they need extra practice with) and once their fruit is revealed, that is the trait to be especially intentional about for that day We’ll change fruits the next day or so, and do it again. But I like your idea of the positive reinforcement with something visual and edible! Haha. I love this! I sure wish I had something like this when our sons were little. I did however print this for the grandchildren! !